Add The Personal Asset TrustSM to Your Practice TODAY! If your practice was built around estate tax planning, chances are you have seen a dive in your revenues over the last few years with the increased exemption. With the potential repeal of the estate tax, it's only a matter of time. This PAT strategy will help drive your practice into the new paradigm of income tax and asset protection planning! You can amend and restate virtually every Living Trust you come across—from updating your existing clients using the amendment package and marketing materials provided to upgrading every single trust you come across drafted by another attorney! The "PAT" will help give you a unique feature to market and set you apart from your competitors! Let's face it. Most attorneys are not charging enough and feel the need to stay competitive with the low-priced and internet competition. 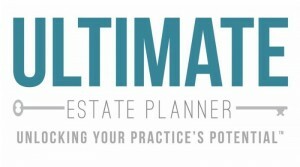 However, with this "PAT" strategy, you are now offering a premium service that your clients want and you can now command a higher fee for the estate planning that you do! ATTEND A FREE INFORMATIONAL CALL TO LEARN MORE! "I encourage any estate planning attorney to seriously consider adding the Personal Asset TrustSM to their practice. It's added value to our clients, as well has significantly increased revenue to our firm. I cannot give this technique a strong enough endorsement. In just a short time, we tripled our firm's revenue and continue to do so over the years!"